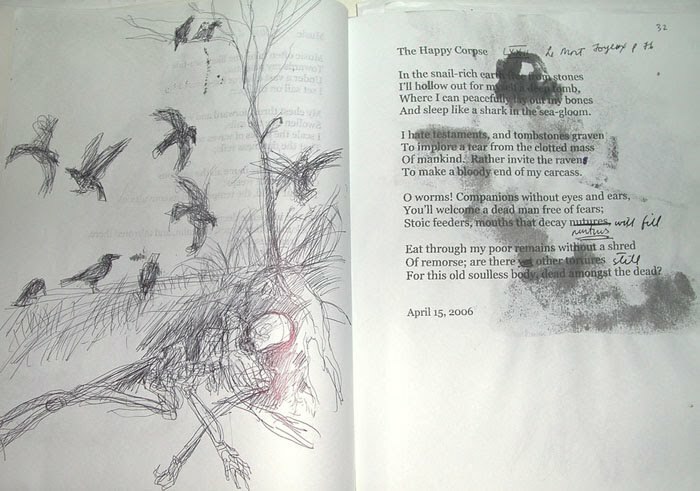 From an illustrator's point of view, the poems in Les Fleurs du Mal can be divided into two groups: those that tend to give concrete images when read and those that do not. 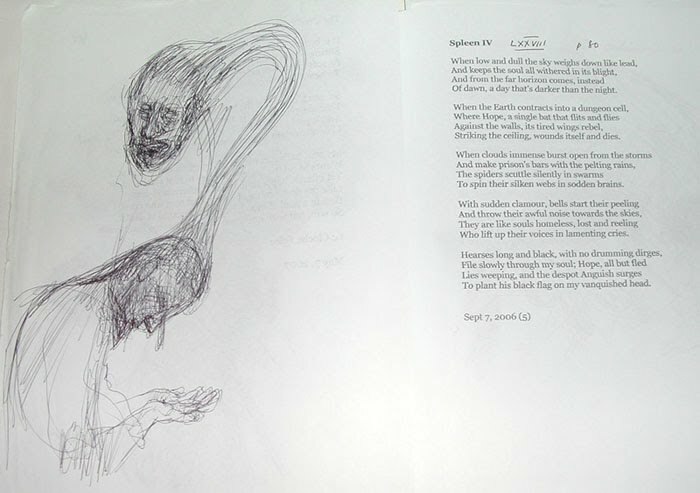 The former are represented by these preliminary sketches for illustrations, done with ball point pen on 11 x 8.5" paper. 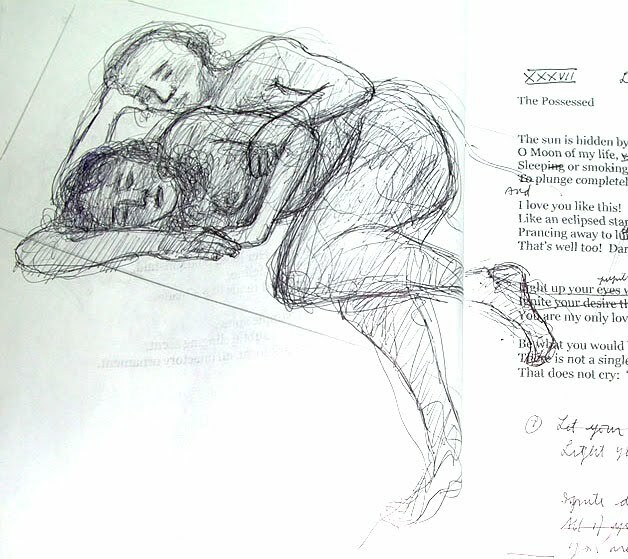 This is a typical two-page spread from my notebooks with the translation on the recto and a sketch on the facing verso page. This illustration is for The Happy Corpse. The sketches were conceived for final reproduction using drypoint and so ball point pen would be a good fit for this printmaking technique. I like the black shapes on the recto page: they were accidental as they bled from another illustration (pen and wash) on the verso of the text page. The following is a list of translations in English of Les Fleurs du Mal. The list is not complete. The listings with photos attached are in my collection. book (see below) are the only two works I know that use this approach instead of the iambic pentameter. always keeping the line, however, a line of six feet". prose will give the reader some understanding of the effect of the poet created..."
defence as to its intrinsic merits." cumulative effects, that 'secret architecture' Baudelaire so prided himself upon." Waldrop has rendered the poems as prose "versets" with paragraph breaks between stanzas.